Madhya Pradesh (MP) GK Quiz No. 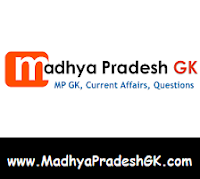 1 with Answers : Madhya Pradesh (MP) Samanya Gyan Quiz, Hindi GK Quiz Objective Questions with Answer for all competitive examination of MP State Government, MPPSC, MP Policem IBPS, SSC, BSF, Police Bharti, Teachers Exam, Admin services, State PSC, Bank, IBPS, CTET, MPTET and other examinations. This Madhya Pradesh (MP) GK Quiz or MK GK Sample Paper Question and Answers is based on MP SI Exam Paper 2012 held in previous years. Here is Sample Question Paper for all competitive examinations. Q.1 Why are Polaroids used in sunglasses? Q.2 When an aeroplane is flying at a great height the sky appears black to its passengers Why? Q.3 The image formed by an object on the retina of the human eye is? Q.4 The ‘Swadeshi Movement and ‘Boycott of Foreign Things’ were started by the Congress in 1905 to protest? Q.5 The Lucknow Congress of 1916 was important because at this session the party? Q.6 In 1932 a compromise known as the ‘Poona Pact’ was worked out on the question of separate electorates Who were the two main leaders involved? Q.7 What is the time taken by the Earth to complete one rotation on its imaginary axis? Q.8 In which atmospheric layer is the ozone layer situated? Q.9 The Finance Commission makes its recommendations to? Q.10 The Chief Minister of Maharashtra is?